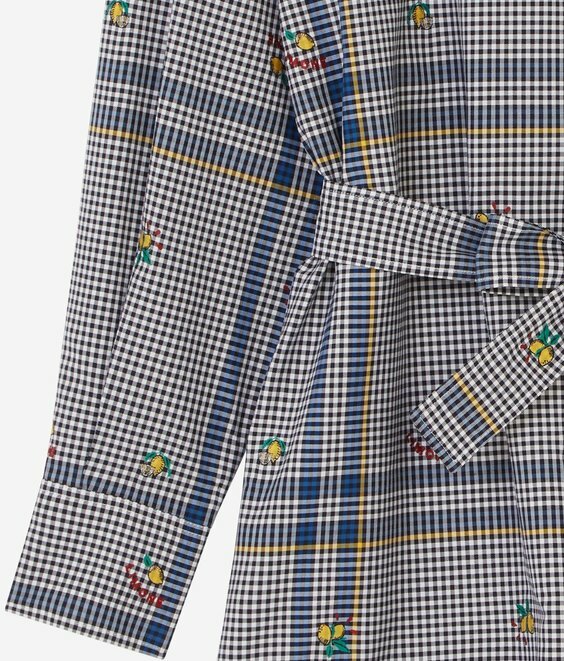 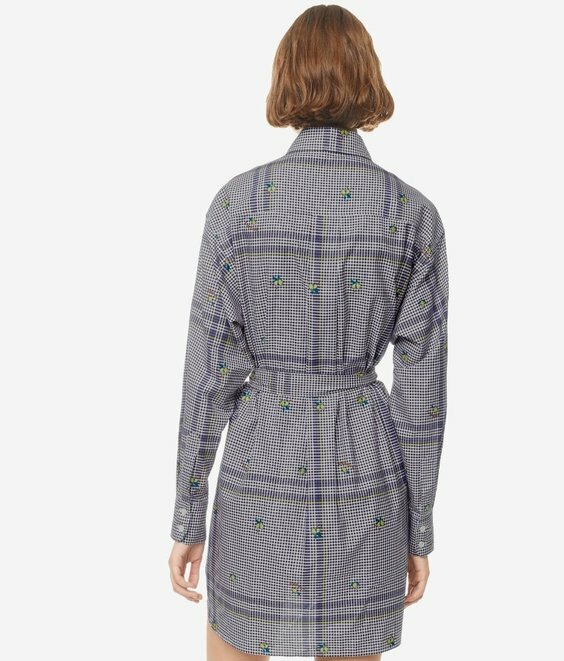 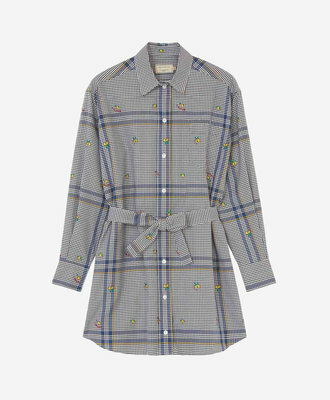 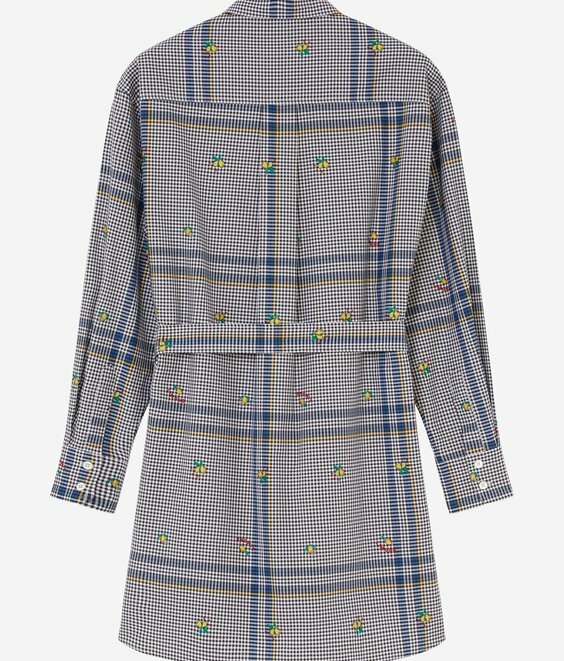 This MAISON KITSUNE shirt dress, done in a cotton poplin jacquard fabric with an all-over lemon and checker print, is designed with a shirt collar and long, loose, pleated sleeves with slitted cuffs. 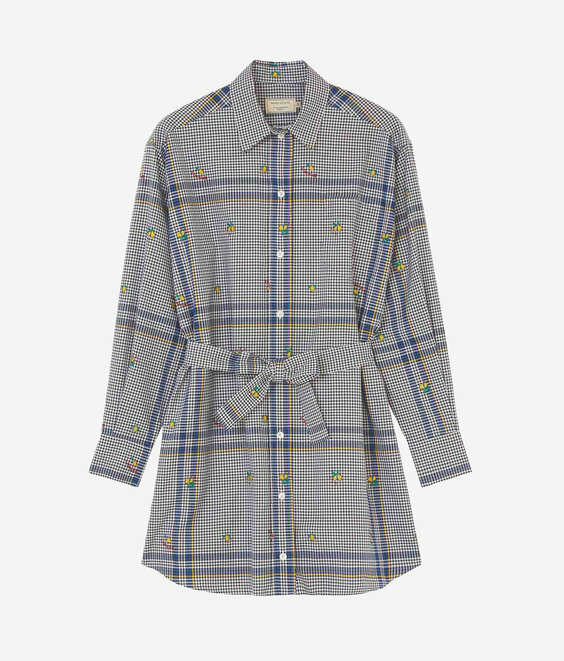 A full-length button tab adorns the front. 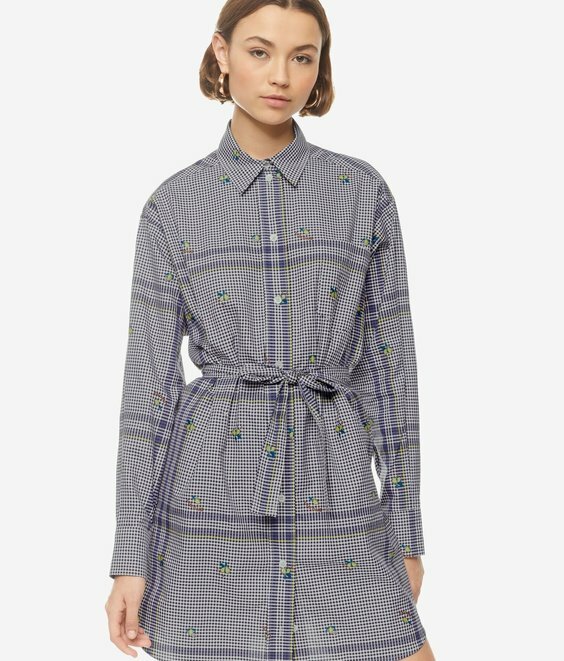 Featuring a removable belt and a patch pocket highlighted by the brand’s iconic embroidered fox, this chic yet casual dress will look gorgeous with a pair of flat sandals!